I wanted to write about this the day it happened but due to late working hours I didn't get a chance to..
Back on Tuesday, June 1st, the PM of Japan Yukio Hatoyama resigned. I haven't really followed Japanese politics too much, but it was hard not to hear about the Okinawa base issue since we're so close to them. For those who aren't clear what happened, Hatoyama promised during the last elections that he would move the US military base on the Okinawa island to another place, or even completely out of Japan. Unfortunately, he couldn't keep his word and so the base is there to stay (for now at least) and under pressure from having to break a campaign promise Hatoyama resigned (ironic, an elected leader of Japan wants to do as his people wishes by removing the base and instead the base stays yet the PM gets kicked out, US democracy doesn't seem to extend beyond its borders to grant consideration to the people of other countries. Tough nuts to us). Now first of all, I don't know Hatoyama that much, but just from what I've heard he doesn't appear to be a total disaster of a PM nor was he a brilliant one. My first question, however, would be why in the world did he make a campaign promise that a) just about anyone can see he can't keep (kick the US out of another country's sovereign territory? Haha, right. Like the Stars and Stripes would agree to that so easily) and b) had such a definite ending result? If he had simply promised something like "I will work on removing the US military base from Okinawa" or even "I will push for the US military base to be removed from Okinawa" wouldn't that be a hell of a smarter promise to make as a politician? You can't measure that kind of promise, to "work on" something can mean just about anything, and that way even if the base isn't moved he can push the blame on the US and say it's their fault for being uncooperative. Secondly, a few days before he resigned, Hatoyama actually went to Okinawa and apologized to the residents there for being unable to keep his promise. When I heard that my first reaction was "wtf??". A politician APOLOGIZED? Outright? He didn't mince his words, didn't make excuses, just said sorry for not being able to keep a promise? He didn't try to say he's still working on it, or that he needs an extended time to make good on his promise, or anything of the sort? He admitted he can't keep a promise and actually APOLOGIZED?? What the hell's up with that? Never in Canada did I ever hear of a Canadian, American, British, or any other politician making such a move. It's always "well THEY weren't cooperating" or "THEY stopped us from keeping our promise" or more often you just never hear about campaign promises after the elections are over. It's more like "Vote for me! I'll do this, this, this and this!!!" and then once they get elected the slogan becomes "Ah, oopsies, can't do this, that, that or that because now my oppositions being whiny little b*tches and keeping me from making good on my promises, so hate them not me~!" "What about Harper [PM of Canada]...he should have resigned like 500 times"
"If western politicians resign when they break a campaign promise, we would be having a new Prime Minister every other week." "My god! If our politicians had to resign because they failed to live up to a campaign promise, we wouldn't have anyone left in Ottawa." "Wow...a Prime Minister actually capable of admitting failure AND feeling shame?! "How come that Japanese Prime Minster can resign, yet we get stuck with Harper?" "Did I read the article right? A PM resigning because of a broken campaign promise? Not in Canada. Not in my lifetime." "What a novel concept a PM resigning over NOT KEEPING A PROMISE"
So whew, I haven't gone nuts and slipped into a world where politicians are actually expected to keep their promises, I've just gone to another hemisphere where expectations are different. A new PM was selected yesterday, Naoto Kan, and like Hatoyama I know little (more like nothing) about him, but either way, he's got quite a mess to clean up. I wonder if he's going to chip away at the US base issue too since clearly the residents of Okinawa don't really feel that great about its presence despite any advantages the US claims it has there and Hatoyama already opened that can of worms. I personally think it's going to be next to impossible to get the US to move it since they seem to have gotten themselves a nice and cozy *coughstrategiccough* little spot with Okinawa since it's about as close to China and Taiwan as they can get without actually being IN China or Taiwan (and China's one country that would most likely be unwilling to even consider tolerating foreign military bases on its soil...and since it considers Taiwan as its own that means no US base in Taiwan unless the US wants to risk a war with China over Taiwan). 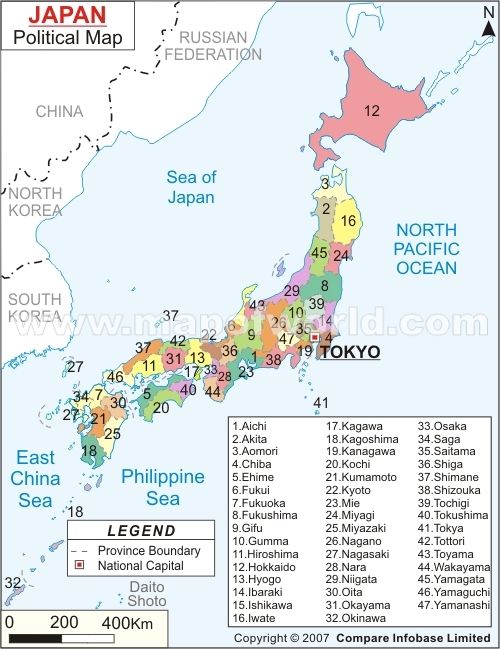 Then up in Sasebo, a city only about 2 hours from Nagasaki where I live there's a US naval base that it can use to keep track of Korea (for a map of Japan click here, Okinawa is a southern island, #32 on the map, and Sasebo is in Nagasaki Prefecture #27). Lol, I'm also shocked that a politician would hold himself accountable, with seemingly no outside pressure... A rare and dying breed. Although if they keep removing themselves from office, that might contribute to their extinction, lol. I know eh? At that rate politicians wouldn't even make it to federal elections, they'd have to resign after just municipal elections. I understood that the promise was to make sure the base was moved to a different island, not make it go away completely. The base moving to a less populous part of the island was pretty bad. That may have been the initial promise, perhaps he thought that would be an easier goal to achieve then to get rid of it completely, but trust me that in Japan amongst the Japanese people (and particularly the Okinawa residents) the hope was to get rid of it completely from Japanese sovereign soil. Yeah, when you finally think you've got your finger on the breed known as politicians, they do something like this to completely throw you off. Tis a conspiracy I say!! That aside, it's really nice to see someone finally holding accountability. You've gotta give him tons of credit for doing that. Maybe it's a culture difference. It's cultural difference. Japanese society are low in individualism along with other Asian countries which is why it's common for them to apologize in public unlike in Western societies. Hatoyama is the 3th PM to resign in this century (the 1st is Shinzo Abe, and the 2nd is Yasuo Fukuda). So this is not the first time for a Japanese PM to resign. I'm not sure how much of that individualism vs. collectivism difference plays a role but I do think the Western politicians have thicker skin and so can look their people in the eye even when they lie through their teeth time and again while assuring them that they're not lying. I realize Hatoyama's not the first, either in Japan or in E.Asia (I believe there was actually a politician in S. Korea that committed suicide due to corruption whereas in the West it's kind of an open secret that the politicians are corrupt and have a foot in the private sector while using the public sector to horde cash into their pockets) but it IS the first time I've experienced the reactions of the people here first hand since now I'm actually living in Japan and work with Japanese people so I can ask them for their opinions.